The first decision I made was to stop collecting butterflies and to start raising and releasing them. I started by raising what was most common…things like Monarchs (Danaus plexippus) and Spicebush Swallowtails (Papilio troilus). These were an obvious choice as I already had access to milkweed and sassafras on my parents’ property (monarch larvae eat milkweed and spicebush swallowtail larvae eat sassafras). As the years went by, with my parents support, I transformed the two acres of land they own into one huge butterfly garden. 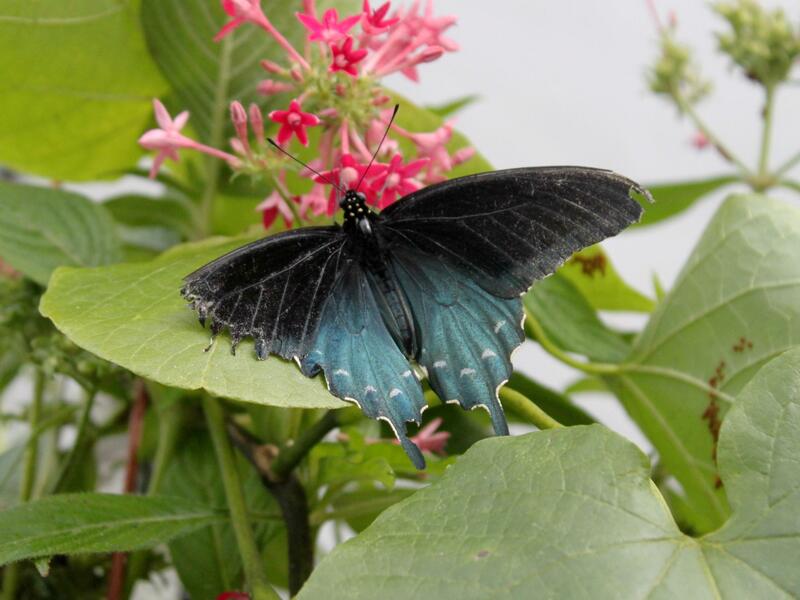 Butterfly gardening is a two part process, which I don’t think most people are aware of. Oftentimes people will plant a butterfly bush (Buddleia) and other butterfly-attracting flowers and they will say that they have a butterfly garden. True, these flowers may attract the butterflies but the actual goal is to keep them there once they arrive. 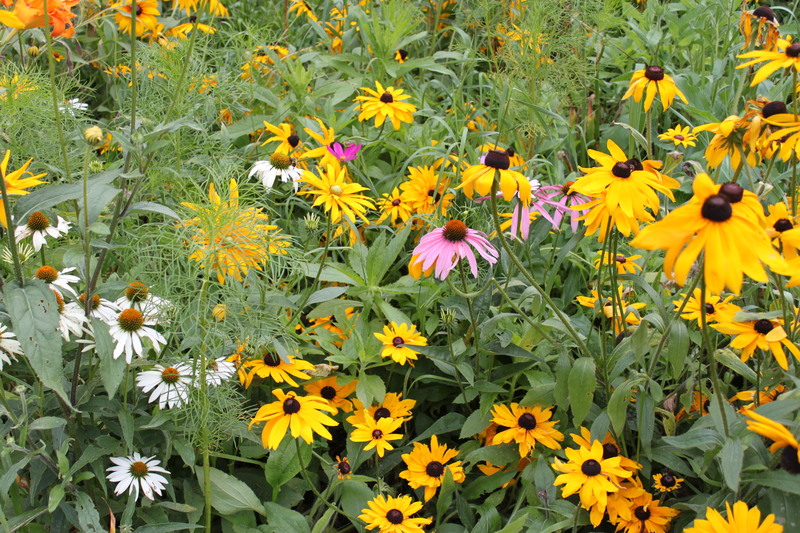 If all you have are flowers, the butterflies will visit, drink some nectar and then move onto the next yard. They rarely stick around. What you also need to do is plant the caterpillar host plants. Once you do that, not only will you attract butterflies to the flowers but now they will also have a place to lay their eggs, guaranteeing the presence of many more butterflies in the future. Even though they are an insect, butterflies are very smart and they know and remember where their next meal is coming from. If you talk to anyone with an interest in insects they will probably tell you the same thing…the rarer the species the more in demand they are. In my case this was also true, though not from a collector’s standpoint. There were a few species that I would see in field guides that were supposed to be in Jamestown, but that I had never seen. Keep in mind that Jamestown is an island that is nine miles long by one mile wide connected to the mainland by two bridges. What this means is that any butterflies that are here were probably from here (and not a migrating species like the Monarch). In other words, there are not many species that would cross the bay to Jamestown. 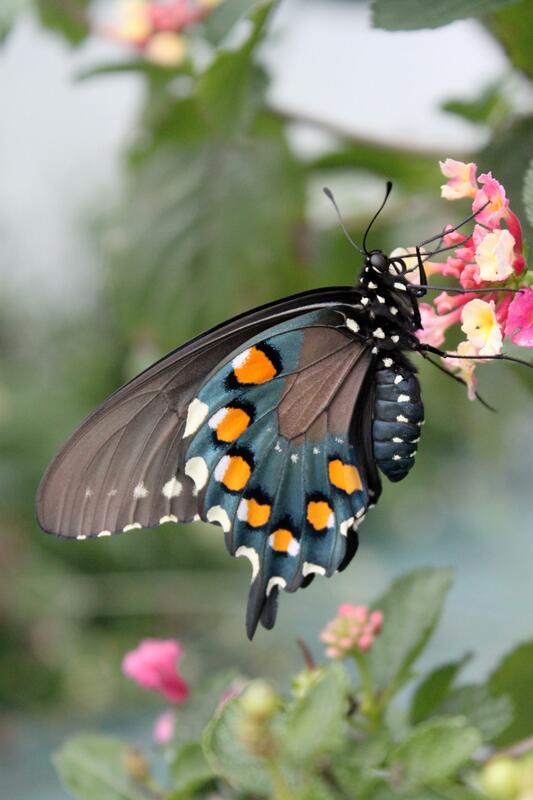 One species that always interested me, that I never saw in person, was the Pipevine Swallowtail (Battus philenor). Though I had plenty of butterfly-attracting flowers in my yard I was missing the key ingredient…pipevine (the caterpillar’s only food plant). Without it there was no chance of seeing this elusive creature. 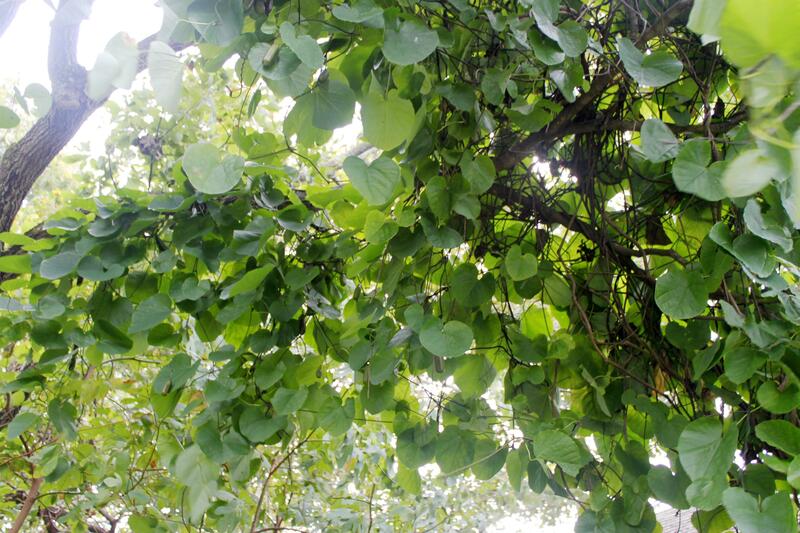 I bought six large pipevine plants (also known as Dutchman’s pipe because the flowers actually look like a pipe that you would smoke) and planted five of them alongside my garage with the sixth being planted against a tree. I then made trellises that went up the side of the garage and up the trunk of the tree. It took the plants about 6 years to cover the side of the garage totally and it was then that I saw my very first Pipevine Swallowtail. When I first saw it I wasn’t sure if I was actually looking at the Pipevine Swallowtail or not, as it does look very similar in size and color to both the Spicebush Swallowtail and the smaller Black Swallowtail (Papilio polyxenes), with one exception…when the sun hits the hind wings just right you get a bright flash of metallic blue (similar to the infamous Morpho butterflies of Brazil). I saw the flash and quickly realized that it was in fact a Pipevine Swallowtail and it was a female laying eggs. I did not capture her with my net…instead I just watched her flit around the vines depositing her eggs in clusters of anywhere from three to a dozen or more. I collected as many of the eggs as I could and spent the summer raising them. Once the adult butterflies hatched out 7-8 weeks later I then released the dozen or so that made it. Now keep in mind that when you raise butterflies and moths in captivity there are always casualties and things that can go wrong. One of the reasons butterflies lay so many eggs is because so few actually survive to become an adult. At least in captivity you greatly increase their odds. 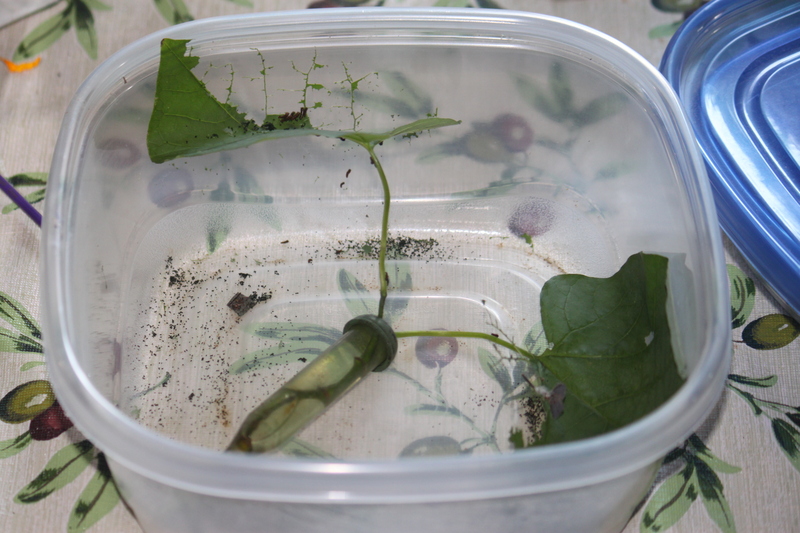 I like to raise most of my caterpillars in either deli cups, Tupperware containers or critter keepers (those plastic containers you can buy in pet stores to house reptiles and invertebrates). Usually I start out with an 8-ounce deli cup. When I collect the eggs (or ova) I will put them into the deli cup to hatch. Once they do I will feed them in there for the first week or so. From there they move into a larger Tupperware container. What is nice about raising them this way is that the leaves stay fresh longer but since the containers are sealed shut and airtight, you have to clean them out a lot more. Humidity is higher in these containers which means that the frass (or caterpillar poop) will get moldy if not cleaned out (and mold will get into the spiracles, or breathing holes, of the caterpillars and kill them). 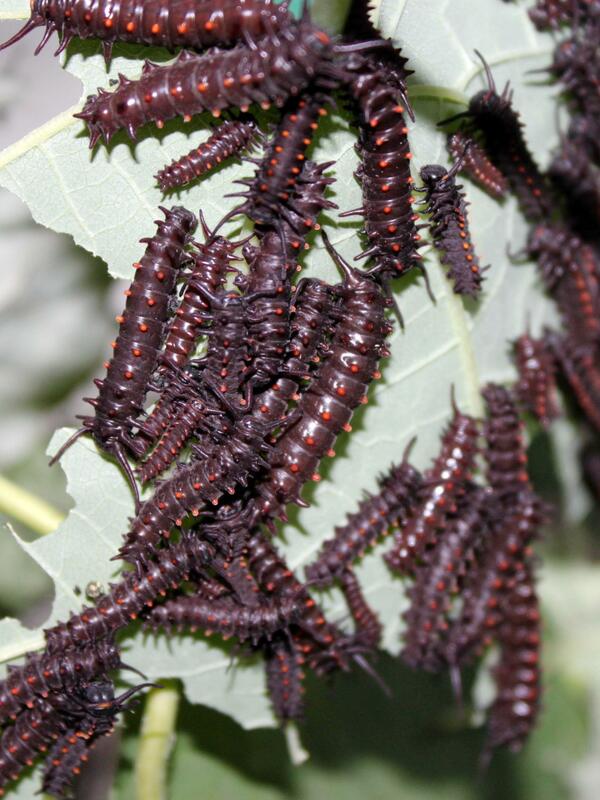 From there they are moved into the critter keeper and they will spend the rest of their caterpillar stage there. Because these containers are larger, and feature breathing holes, I have to put bunches of leaves into waterpicks to keep them fresh. When the larvae are ready to pupate, they usually do it either on the side or top of the critter keeper. After a few days the chrysalis are hard enough to remove from the critter keeper and placed into a net bag. 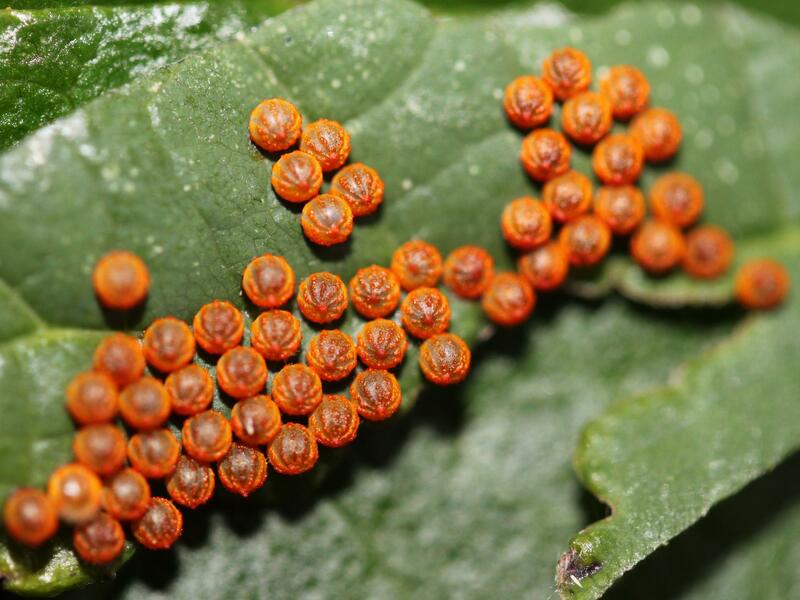 If these were raised during the spring to mid-summer, more than likely they will hatch out within a week to 10 days. 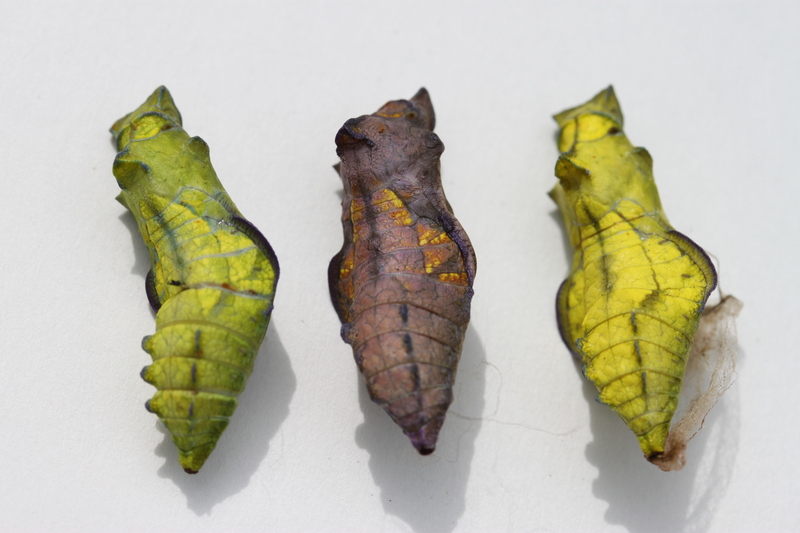 Any later in the season then there is a good chance that these chrysalis will overwinter and hatch out the following spring. Thanks to these efforts, Pipevine swallowtails are now one of the most common butterflies visiting my yard. 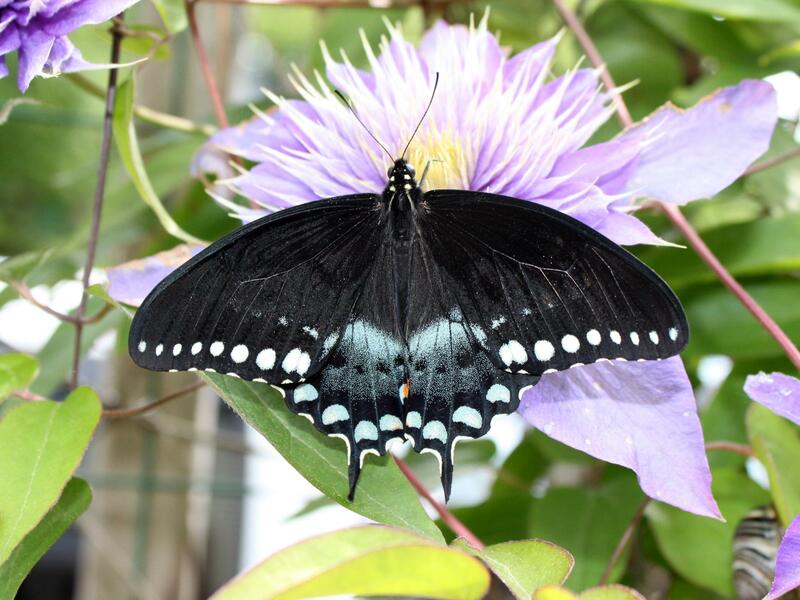 Years ago seeing one or two a season for me was good; now it is very common to see five or more at any given time flying in my yard nectaring on the many flowers and laying eggs on the pipevine. The reason this resulted with such great numbers is because of what I mentioned before; flowers and foodplants are the key. If you build it, they will definitely come! This entry was posted in Butterfly Gardening, Conservation, Pipevine swallowtails, Raising butterflies and tagged aristolochia, Battus philenor, buddleia, butterfly, butterfly bush, butterfly gardening, Danaus plexippus, dutchman's pipe, gardening, monarch butterfly, Papilio troilus, pipevine, pipevine swallowtail, Spicebush swallowtail. Bookmark the permalink.